The ribbon is in 157 x 2.4 inches/ 400 x 5.9 cm, its wooden wand is 10 inches/ 25 cm long, suitable size for adults and kids' using. Good for kids participating in different kinds of dance and school activities, making kids energetic and aspiring. 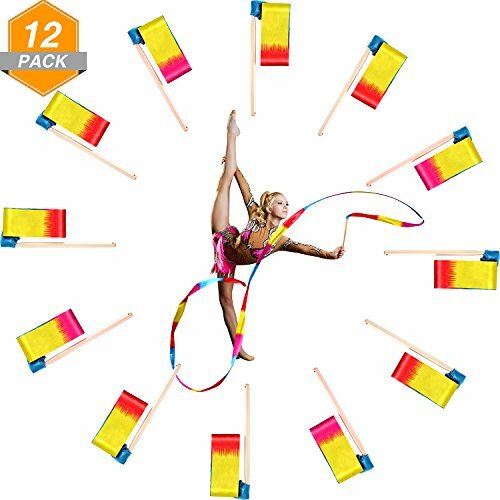 You can use it in many fun activities such as artistic dancing, physical training, marching band, gymnastics ribbon, and baton twirling, you can also perform talent shows in the party, wedding, festival and more.